A collage made from an old envelope. 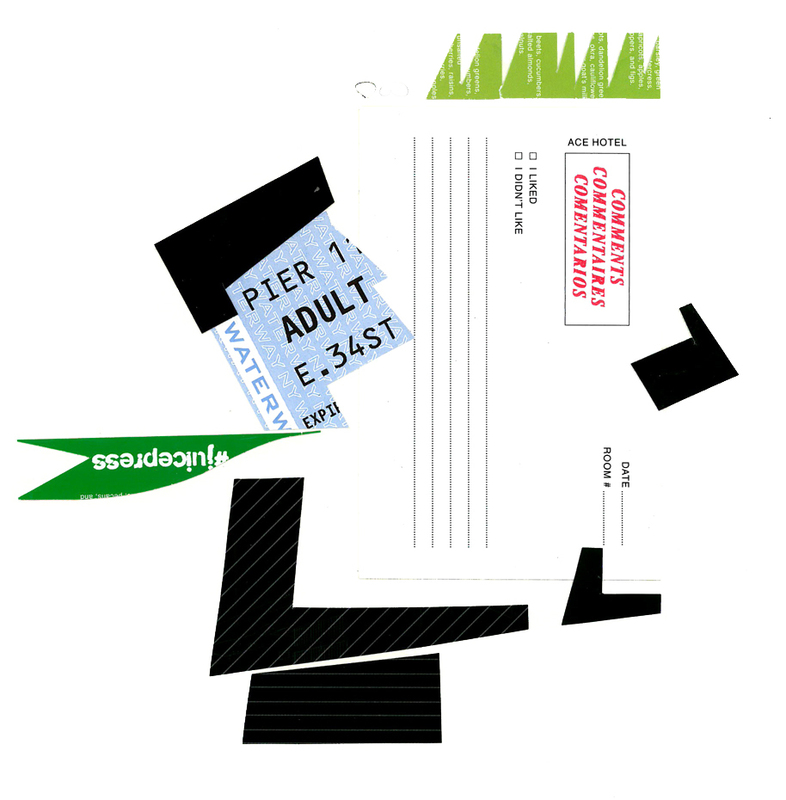 A collage made from a merchandise receipt while travelling in Hong Kong. Character developed around the security pattern of an envelope. A collage done while staying at the Hilton St Charles in New Orleans. Narrative developed around two business cards from restaurants in Hell's Kitchen, New York. A collage made from a discarded envelope from Citi Bank. A collage made from a taxi tourist handout upon arrival in New Orleans. Portrait of my father. Narrative developed around a used sugar packet while on vacation in Hong kong. A collage made from the inside security pattern of a nondescript envelope. A narrative developed around the two museum tickets from the Guggenheim Museum in New York. A collage done on vacation in San Francisco. A collage done on vacation using miscellaneous paper objects collected in San Francisco. Narrative developed around a tourist map of Alicante, Spain. A collage made from the museum brochure of Met Breuer. A collage made from a traditional Chinese "red pocket" for good fortune in Hong Kong. Portrait of my friend Kirk and Sam. Collage done after a gathering in Brooklyn. Self portrait. Collage done on vacation in San Francisco using the tourist map of the Mission District. A collage made from the inside security pattern of an envelope from Vanguard. Narrative developed around a used ferry ticket in New York.